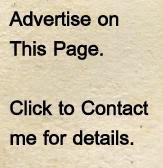 christineiscooking.com: How to Dye Easter Eggs Without a Kit (food coloring and vinegar is all you need)! How to Dye Easter Eggs Without a Kit (food coloring and vinegar is all you need)! No need to run to the store. You probably already have everything you need at home to color Easter Eggs. I actually prefer using my own food coloring instead of a kit. I find the end color to be fabulously vibrant! Place one tablespoon vinegar in each container. Add about 3/4 cups of hot tap water to the vinegar. Add enough food coloring to get your desired color (I usually use about 1/2 tablespoon). 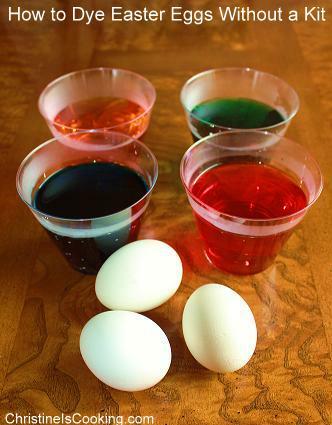 Put the egg in the colored water and let it sit there for 5-10 minutes. The longer it sits the more intense the color will be. Remove the egg and let it dry. Refrigerate. Hard boiled eggs can be kept in the fridge about a week. (2) You can use crayons to mark designs on the eggs before coloring. The dye will not penetrate the wax from the crayon marks. 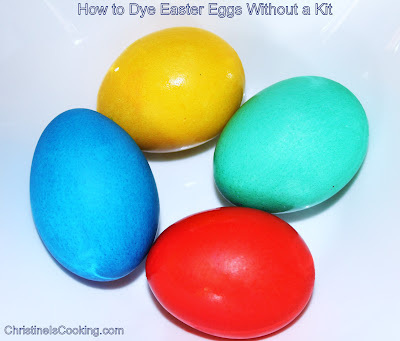 (3) If the eggs looks spotty after drying - just give them second dip in the coloring.